As an Eastern Orthodox Christian, I try with all my might not to judge any person or group on all things spiritual. I admit I was not so successful in judging the Government of Sudan harshly for the perverse and the ultimate in senseless violence–a Government-ordered death sentence to a lady whose dignity. (what, if any, of it) was worsened by forcing her to give birth while in leg shackles. 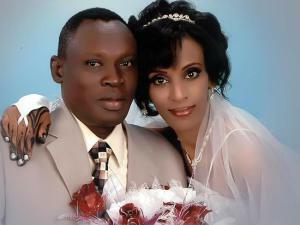 All of these atrocities were ordered because of some Sudanese government official deemed that his vision of spirituality proscribed the death sentence of a Sudanese citizen because she married a man who happened to practice Christianity. My hope is that sometime before I leave this earth how an organized religion in today’s world could not only tolerate these type of atrocities, but actually support them.